Everyone who has pumped iron has experienced getting unsolicited advice from others who are “experienced” in the world of bodybuilding. Truth be told, giving someone advice based on your personal experience is truly admirable. Not that we’re complaining, but it’s the same noble gesture that spread bodybuilding myths like wildfire. The body mass index is a scale that measures being underweight, normal, overweight and obese based on a ratio of height and weight. Not only is this measurement inaccurate, this does not take into consideration the added weight of lean muscle mass. On the BMI scale, you may appear overweight despite having a small body fat percentage. In essence, the body mass index is an unreliable tool to determine your weight problems. Instead, you can measure your body fat percentage to determine how much fat you have, and how much leaner your body can get. Many in the bodybuilding scene avoid cardio exercises like the plague because they think that cardio exercises are just for women. Women trim and men build, they say. In essence, cardio exercises can also help men, and bodybuilding exercises can also help women. Cardio exercises are great in sculpting your body, especially when you’ve worked on your muscles. You’ll get that distinct ripped appearance only after you have drastically reduced your body fat. Muscle-building exercises are also great for women who are looking for a long-term solution for weight management. You’ve seen it on TV – dozens of infomercials selling products that would stimulate your abdominal area to build six-pack abs. The truth is, everyone is born with abdominal muscles. They are only hiding under a layer of fat in your belly. Unless you do something that would make your abdominal fat go away, like taking the best fat burning supplements, your abdominal muscles will stay hidden. It doesn’t matter if you do crunches or you run. Your core muscles are easily stimulated by any activity (hence, core). While many in the sports entertainment industry use steroids to fast-track their muscle gain, it’s not the only way to get that distinct big, hulky physique. Steroids are illegal in sports because they give competitors an unfair advantage, and they cause side effects. The best muscle building supplements like Xtreme Testosterone mimic the effects of steroids without the dangerous side effects. Your muscles need protein to develop myofibrils, but protein isn’t the only thing you need to build muscle. You also need a healthy blood flow to your muscles to promote better muscular performance and faster recovery periods. The best muscle building supplements aren’t plain protein. 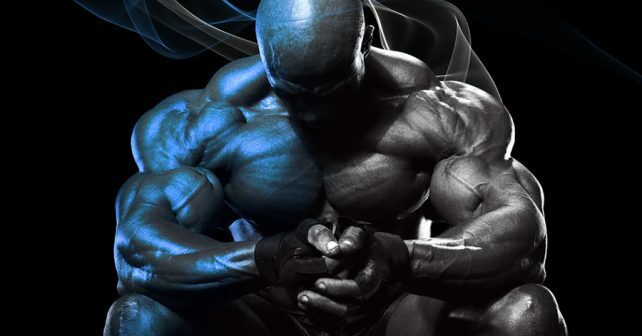 Look for products like NitroGenix 365 that provide you with an all-around muscle building solution.